“Aussie Style” now Amazon’s 3rd best Great Loop book. 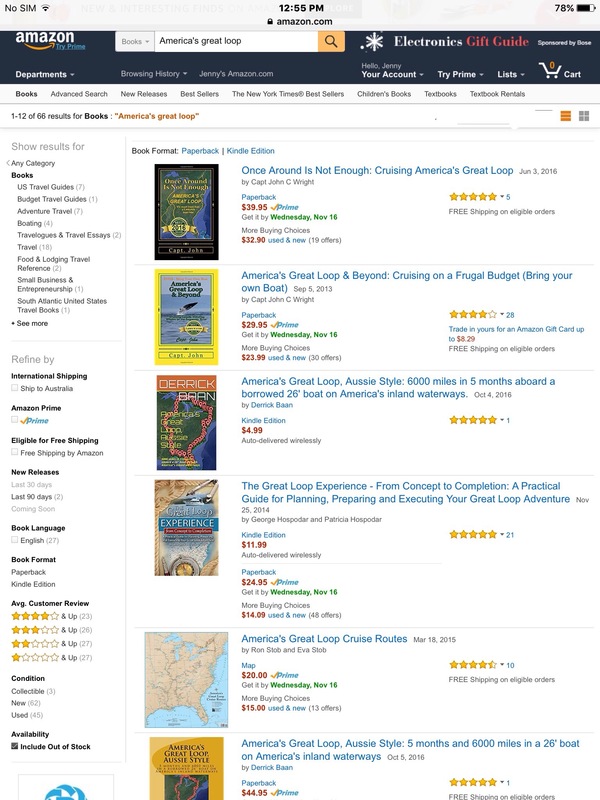 The Kindle ebook version of America’s Great Loop, Aussie Style has risen to number 3 in Amazon’s best ranked Great Loop books and the large format printed version is ranked at number six. Both book formats﻿ have also received five star ratings from different readers. 2 Responses to “Aussie Style” now Amazon’s 3rd best Great Loop book.